Earlier this year, I met with one of our volunteers to go over some training materials. This particular volunteer started out as a computer mentor at our Digital Inclusion Computer Help Lab, but he wanted to do more by volunteering with another one of our programs as well. As I spoke with him, I was overwhelmed by his generosity and willingness to do so much for our community. When I thanked him for his support, his response humbled me—he said that our organization was doing more for him than he was doing for us, by giving him the opportunity to help. It can be easy for us as program managers and staff to forget that people want to volunteer. It can be daunting to think about starting a volunteer recruitment campaign. It may feel like an imposition to ask people to give their free time to our work. But the truth is, people want to help. So how can we tap into this desire to help and use volunteers most effectively in our digital inclusion work? 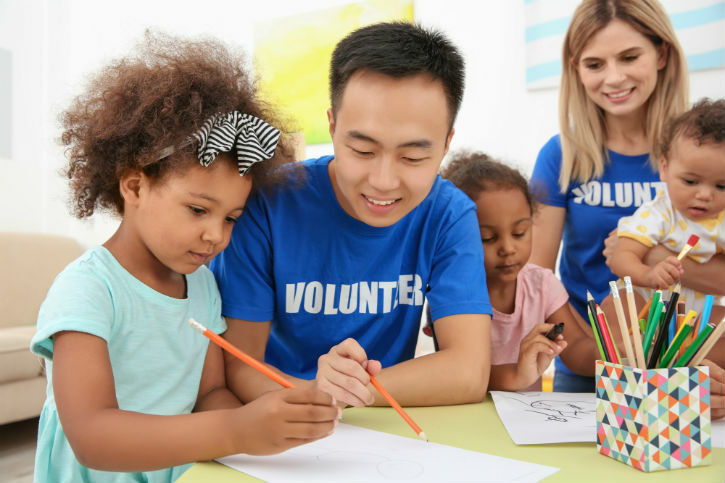 Before recruiting volunteers, it’s important to take time to determine what your program goals are in relation to volunteering. Why do you want volunteers? What kind of volunteer positions will be most helpful for your program? 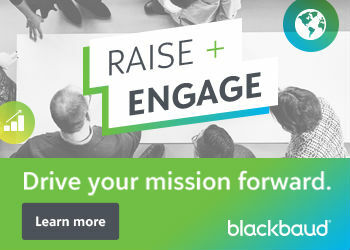 How will volunteers help you achieve your mission? When managed properly, volunteers can become advocates for your work, recruiters of other volunteers, and even donors. Their impact can ripple through all areas of your work, not just your day-to-day programming. Don’t be afraid to think big when you consider the ways volunteers can help advance your cause! Once you have an idea of how volunteers can support your work, it’s time to start recruiting! Right? Actually, there are still a couple of things to do before you reserve a table at the local university’s service fair. Make sure that you have the staff time and resources to dedicate to managing volunteers. Managing volunteers is just like managing staff—except that, since they won’t be paid, you need to be better at selling them on job satisfaction. Volunteers, just like employees, don’t want to work for a bad manager. If your on-boarding or training processes don’t adequately prepare volunteers for their assignment, they won’t stick around. It’s also important to remember that social connections are crucial for volunteers. Sometimes you will need to take extra staff time to get to know your volunteers and build strong relationships with them. Take the time to write some clear volunteer position descriptions. What is a volunteer position description, you ask? It’s basically a job description for volunteers. These descriptions are not recruitment messages, but they are an essential element of the recruitment process. After all, there isn’t much point in asking people to help before you know what you need them to help with, right? Set aside some time to write down the responsibilities, qualifications, and time commitment for each volunteer position. This will not only provide some much-needed structure for the volunteer manager, but it will also make it easier for you to target your recruiting efforts. You have to ask people to volunteer. It’s like dating. You won’t know if someone’s interested in you unless you ask them. It’s tempting to think that once people know about your amazing program they will come to you and ask to help—and that does happen sometimes. But for the most part, you need to go after those potential volunteers and ask them personally. Even if they say no, people are generally flattered to be asked to help. After all, asking someone to volunteer means that they have skills that you value and that you think are worth sharing with the world. Of course, figuring out where those potential volunteers are so you can ask them to help can be challenging. Unfortunately, there are no secret “Future Volunteer” clubs. But the good news is, potential volunteers can be found anywhere: PTA meetings, church congregations, college classrooms, AARP groups, local companies. To find them, your messaging has to be very specific. Look back at your volunteer position descriptions. Use those descriptions to help you identify where to look for volunteers. If you need a volunteer to teach computer classes once a week from 10am to noon, for example, you may want to look for a college student who has a free morning once a week or a retired teacher who misses being in the classroom. Make sure that all of your marketing materials are tailored to the group you are targeting. Once you’ve gone through the recruitment process, it’s time to start the volunteer retention process. There are a lot of different priorities competing for volunteers’ time, so how can you encourage them to stay with your organization for more than a month or two? Setting clear expectations up front is crucial; make sure the volunteers know what their responsibilities are, who they can go to for help, and what their time commitment is. Give them all the information they need to be successful. And of course, always, always thank your volunteers. Make sure that people know how much you value them. Let them know that you recognize the good they are doing. Volunteer appreciation doesn’t have to involve food or gift cards, although it can. Sometimes, a sincere expression of thanks or a card can be the best kind of recognition. Showing volunteers that they matter to you and to your work is crucial to retaining them on a long-term basis. Good volunteer management is an ongoing process, and it does take a significant investment of time and resources. But making that investment has dividends for your organization, your clients, and your volunteers that go far beyond the temporary benefit of having someone take a shift for a few hours a week. Volunteering leads to change. It changes us—as volunteers, as program managers, as recipients of service. It makes us more caring, more capable, and more compassionate people. That’s what I learn each time I talk with a volunteer or a client who has worked with a volunteer. And ultimately, that is what we are striving for in our work. To create a society where everyone has access to the skills, equipment, and resources they need to thrive, we have to let others help us. Claire Warnick has been the Volunteer Center Manager and Volunteer Income Tax Assistance Regional Coordinator at United Way of Utah County for the past three years. Prior to this position, she served as an AmeriCorps VISTA for one year promoting early childhood literacy. She graduated with a Bachelor of Arts degree in Interdisciplinary Humanities and a Master of Arts degree in Comparative Studies from Brigham Young University. She currently serves as one of NTEN’s Digital Inclusion Fellows and is based in Provo, Utah. When she isn’t coordinating volunteer projects, doing taxes, or supporting digital literacy programs, she is usually reading or traveling.